Do you need the power and toughness of a pickup truck? Not ready for an upgrade to a full-size pickup truck? Look no further than the award-winning Toyota Tacoma midsize pickup truck at Downeast Toyota. 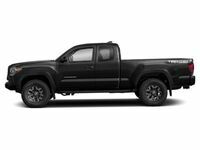 With all of the versatility and capabilities of a pickup truck with a more affordable price tag and more efficient powertrains, the 2019 Toyota Tacoma near Bangor, ME promises to be a fan favorite at Downeast Toyota. When you upgrade your ride to the 2019 Toyota Tacoma, you will have a choice of six grades – SR, SR5, TRD Sport, TRD Off-Road, Limited and the trail-rated TRD Pro – that will start at just $25,550. 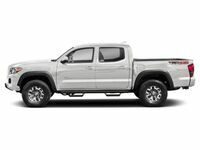 Toyota Tacoma entries are available in Access and Double Cab configurations that can be paired with a 6.1-foot standard bed or a 5-foot short bed. Highlights of the Toyota Tacoma spec sheet include standard Toyota Safety Sense™ collision-prevention technology, a standard 6.1-inch Toyota Entune™ touchscreen infotainment system, Qi wireless charging, a power moonroof, a leather interior and much more. Hard-working power and performance are trademarks of the 2019 Toyota Tacoma near Bangor, ME. Tailor-made for hard work and play, the 2019 Toyota Tacoma provides drivers with two potent engine options that translate to exceptional towing capabilities. Entry-level Toyota Tacoma variants employ a 159-horsepower 2.7-liter four-cylinder engine that manufactures 180 pound-feet of torque and is paired with a six-speed manual or six-speed automatic transmission. When paired with the automatic, the four-cylinder Toyota Tacoma will achieve 19 mpg in the city and 23 mpg on the highway. Drivers who need more power can upgrade to a 278-horsepower 3.5-liter V-6 engine that features Toyota D-4S direct and port fuel injection and will make 265 pound-feet of torque. Married to a standard six-speed automatic transmission, the six-cylinder Tacoma will earn 19 mpg in the city and 24 mpg on the highway. 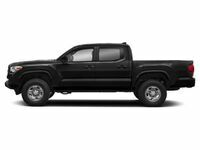 When properly equipped, the 3.5-liter Toyota Tacoma will tow up to 6,800 pounds with a maximum payload of 1,540 pounds. Base 2.7-liter Toyota Tacoma models will tow up to 3,500 pounds with an impressive payload that maxes out at 1,620 pounds. If you are ready to hit the trail, the Toyota Tacoma will check all the boxes. An available 4WDemand part-time four-wheel drive system with an Automatic Limited Slip Differential creates a strong foundation for off-road adventures and is augmented by sport-tuned shocks on the TRD Sport and Bilstein performance shocks on the TRD Off-Road. With the addition of a Multi-Terrain Select system and CRAWL Control feature, the Tacoma will conquer whatever terrain Mother Nature can throw your way. When you want to stand out from the masses, the one-of-a-kind, king-of-the-trail Tacoma TRD Pro will fit the bill. Find out more about the 2019 Toyota Tacoma today at Downeast Toyota!